Back to university after the Easter holidays! My book has received positive feedback, which is fantastic, now I just need to tweak it and get it sent off. I’ve also scrapped my Amsterdam idea, so those photos will be up soon anyway on my other blog. Once I got home in the evening, we decided to tick a drinking game off our ‘house bucket list’ (things to do in the student house before we leave). So we played ‘Centurion’ which involved having a shot of beer every minute for 100 minutes. Well, we did it, and I made it to 150, finishing second place. 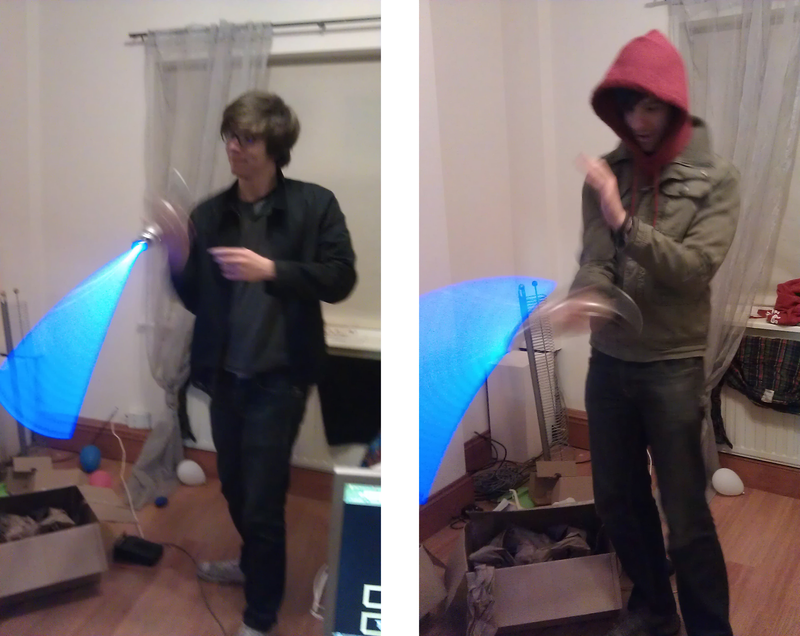 The photo is of my two mates drunkenly playing with my lightsaber! It was a good night, definitely going to redo this photo of a higher quality soon.